Remove customers' purchase anxiety and boost their confidence to shop with you by displaying pricing in their local currency. 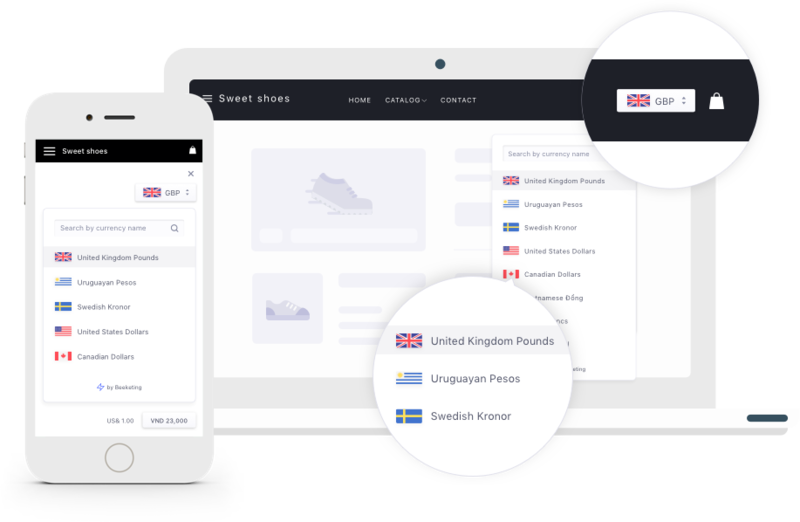 When customers visit your store, the app automatically detects their location based on IP address and converts your pricing into their local currency. Your customers are freed from the worry of paying in a foreign currency and feel more confident to buy from you. 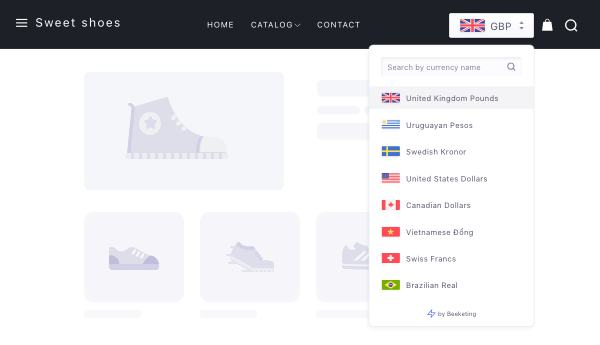 Retrieving real-time exchange rate data from verified partners, Calbot - Currency Converter updates your pricing in local currencies to protect both you and your customers from imprecise or outdated exchange rates. 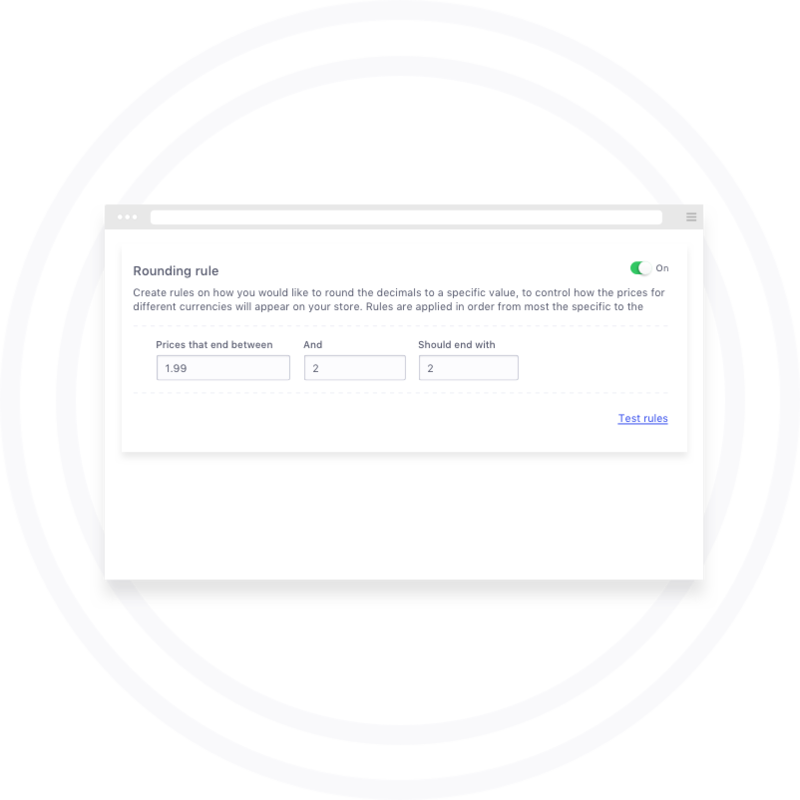 Calbot - Currency Converter lets you create your own rounding rules for more readable and accurate pricing display on your storefront. With multiple options to customize position, color, text color, etc., you can design how the app displays on your store as a built-in element. 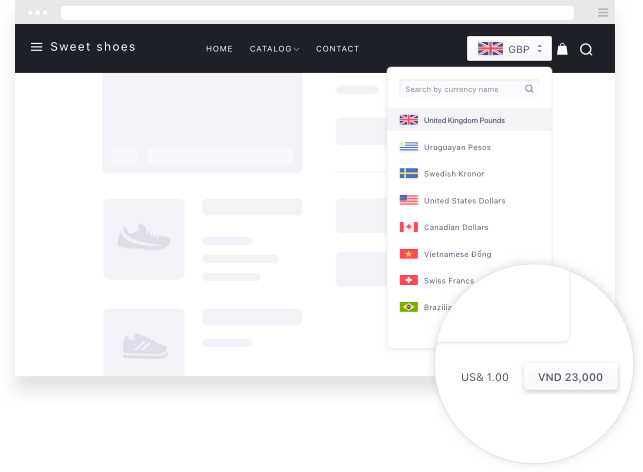 Ready to launch your store in global markets? Get Calbot - Currency Converter app for free now. We've optimized UI/UX on both front-end and back-end of the app to make Calbot - Currency Converter the most hassle-free app for you. 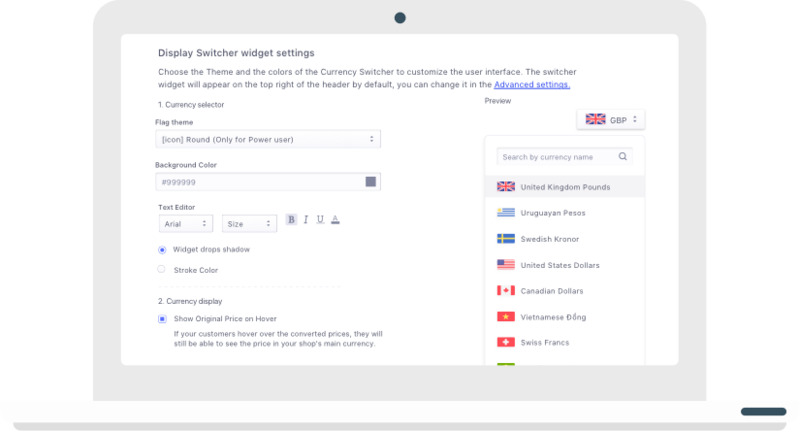 Requiring no coding skills, Calbot - Currency Converter saves your time with 1-click integration and simple setup that takes less than 2 minutes. Partnering up with verified providers, we convert your pricing using real-time updated exchange rates. 100%! No hidden fees or future charges. You will have unlimited access to all features we build for you. "Very good so far.. I like how the fact it's free. Thanks for developing this for free for us. All the best!" "This app is amazing. Been using it for a few weeks now and has helped me a lot. thanks guys. keep up the hard work." "Amazing free app to help push your customers to purchase an item left in the cart without checking out!" "Very useful APP, and it is free, which is very nice for new entrepreneurs. Also the support center is very friendly! Love it." "Cant believe how simple this app is to add on and how great it will be for business! Thank you!!"